Giant Manufacturing Company Limited, better known as Giant is the world’s largest bicycle manufacturer. The Taiwanese manufacturer has production facilities in Taiwan, China and the Netherlands. Since 1972, Giant has made a significant contribution to the world of cycling by inspiring adventure in all cyclists, casual and competitive. Giant has remained a chief promoter of the cycling culture all around the world and continues to produce high-quality bikes. In 1972, Japanese-educated engineer King Liu and a few friends founded Giant in Dajia, Taichung County, Taiwan. The engineer, who had just witnessed a typhoon destroy his eel farming business brought partners together to raise $100,000 that was used to start the business. A 24-year-old Chinese-born investor, Tony Lo, sold Liu his trading company and became an owner and manager in the budding bicycle company. Among the company’s earliest customers was West Coast Cycle, when Giant produced the Nishiki. As demand for bicycles increased, Schwinn was driven by circumstances to turn to Japanese manufacturers to meet the bicycle boom in America. In 1973, Giant began courting some of the biggest names in the bicycle industry and things got even better when an order arrived from Schwinn. Later in 1977, Giant produced their first ten-speed Schwinn World, making Schwinn really impressed with the quality. By the early 80s, Giant was already producing an average of 100,000 bicycles per year for Schwinn. In the fall of 1980, Schwinn workers went on strike, increasing the demand for Giant’s bicycles. The aging production facilities at Schwinn only made it even more difficult to produce their own bicycles, making them heavily reliant on Giant. This forced them to share manufacturing and design expertise. In 1982 alone, Giant shipped 130,000 BMX Schwinn Predators and by the end of the year, Schwinn had closed the Chicago plant and handed over most of its production to Giant. In 1984, Giant produced the first two chrome-moly mountain bikes for Schwinn, these were the Sierra and High Sierra. The two became an instant hit, in three years only, their sales figures had tripled. In that year, Giant shipped 500,000 bikes of which two-thirds were Schwinn’s sales. By the time it was 1986, 80% of Schwinn’s inventory was derived from Giant. It was obvious that Giant produced quality bikes, but their name was not getting enough credit on the market. This was due to the fact that very few of the bikes actually carried the company name “Giant”. Tony Lo seemed to have seen this coming since by 1981 he had started to promote the Giant brand name. 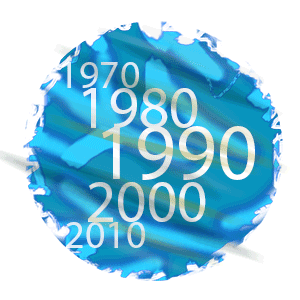 In 1986, the brand name was launched in Europe. It was the joint Schwinn-Giant brand that brought the deal home for Giant after successful negotiations in 1985. Though not very fruitful, the deal did make a major turning point in the way the two companies were related, they were now equaled. The wheel of fortune had spun and stopped in Giant’s favor. Schwinn knew this and tried to evade it by signing a deal with China Bicycles. The equity deal saw Schwinn get a third of the stake and a new manufacturing facility but it was too late. Giant continued to dominate the market with their own brand and have since remained the company to beat in the world of cycles. This very innovative manufacturer continues to provide their clients with bikes designed to deliver the most amazing riding experience. As of 2017, Giant first categorizes their bicycles by users (men, women and youth). 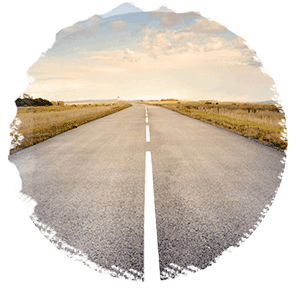 The next step of categorization is by level where we have On-Road, X-Road (for Men and Women), BMX (for Youth) and Off-Road levels. 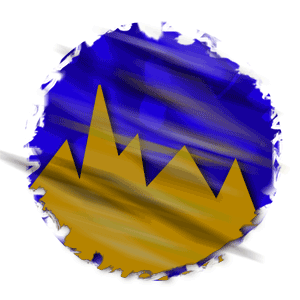 There are users within each level such as Race or Cruiser. 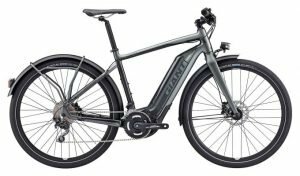 One of the new models is the Giant Road E+ e-Bike announced in 2019. When you look for Giant bikes reviews, you can find specs for this top-notch bike. Giant is currently sponsoring some popular athletes as well as several cycling teams. They sponsor the men and women teams of Sunweb, which compete in the highest level of road cycling. The teams notably produced some outstanding performances at the recent TTT event in Norway where they won the top prizes. The sponsored riders that stand out include Tom Dumoulin, Michaels Mathews and Warren Barguil, the 2017 Tour De France winner of the polka-dot jersey. The biggest bicycle-brand in the world boasts something other than its big name; it believes that it produces top-notch bikes that provide high performance. It has got reviews that suggest that it actually produces some of the best quality bikes even outside the USA. 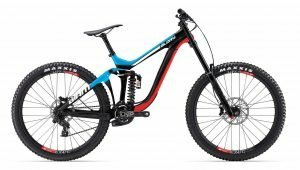 Here are some comments from giant bike reviews. Tones wrote “I live in Australia and Giant’s are very popular here, but even on our bike forums many people all bar the Giant bike owners themselves are jumping on the bandwagon payin out on Giants n their owners, its like Giant shooting season, not to mention the bit of Giant snobbery that goes on on this site..
Im the proud owner of a Reign and an STP, both bikes are awesome bikes for what i paid for them, actually regardless of what i paid for them they are fine bikes.. Whether your bike is for commuting, competition, fitness or even fun purposes, you want to be safe. 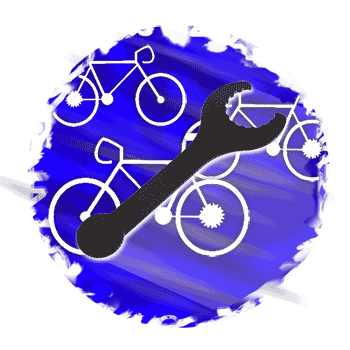 You shouldn’t be afraid that your bike doesn’t come assembled because you can take it to your local bike shop or opt to assemble it yourself with the help of an owner’s manual. If you have the skill, then it is cheaper to assemble the bike yourself. Alternatively, you can also opt to go for an already assembled bike from Amazon; this will save you a lot of time and spare you from the headache of assembly especially if you have no clue how it works. Mountain bikers have an expansive number of options; competitive cross-country riders will be interested in the Anthem full-suspension XC models and XTC hardtails, while trail riders will want to look at the Trance and Stance lines of full-suspension bikes or the Fathom hardtails. Downhillers too have the choice of Reign and Glory bikes. The Giant Reign 1 which costs $4,600 has 160mm of travel out back, which is matched up front for a balanced ride. Its Maestro suspension is controlled by a RockShox Monarch Plus Debonair RC3 shock, a high-end model which is a stellar performer. The piggyback design gives a more consistent control on prolonged descents because there is more oil volume to soak up the heat gain, while the larger Debonair air provides better suppleness and mid-stroke support. 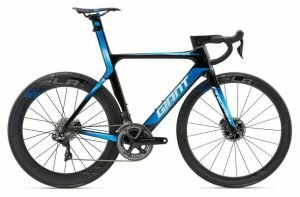 Giant’s road bike range consists of aero race bikes such as the Propel, lightweight race bikes like the TCR Advanced, endurance-focused models such as the Defy Advanced, entry-level all-rounders such as the Content and triathlon-TT models such as the Trinity Advanced. One of Giant’s notable road bikes is the $7,400 Giant TCR Advanced SL O. This bike has a light frameset which weighs 2210 grams when complete. Subtracting the weight of two 300g tires leaves 1,610g, and that’s before allowing for the cassette, tubeless sealant, valves and skewers. Acceleration on the TCR is as easy as it is blistering, and no ride has ever been hampered by a failure of wheel performance. Its rims are 30mm deep and 23mm wide externally, which reduces tire width to 24mm from 25mm. This category consists of the Escape flat bar bike that is more of a jack of all trades, the more speed-dedicated Rapid and FastRoad models, and Giant’s folding bike called the Expressway, which comes with full mudguards and a rear pannier rack. Retailing at $1,160 is Britain’s favorite folding bike, the Brompton S2L. First of all, it has this nice trick which allows it to fold into a small package. Once fully folded, the Brompton can either be carried like a suitcase or wheeled along thanks to three small luggage wheels. In practice, the latter isn’t really an elegant solution. The Brompton weighs 11.4 kilograms (25lbs) which means you might not want to carry it around for too long. Where to shop for Giant bikes? If you want to do it online, then JensonUSA has a decent selection of Giant bikes online.